Natural balance on Contrast Control wouldn’t be present if we didn’t eventually jump into the realm of country music. This genre of music was created in Atlanta, GA in the early 1920s. Since then, this music has taken the world over and become one of the biggest genres next to Rock and Hip-hop. 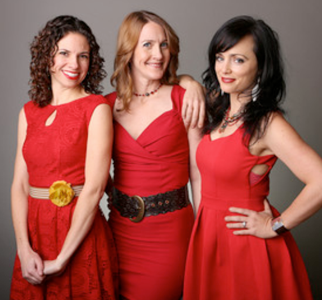 In the sea of many popular country singers and group comes Red Molly, a 3 piece female group that provide colorful harmonies and true respect for American music roots. 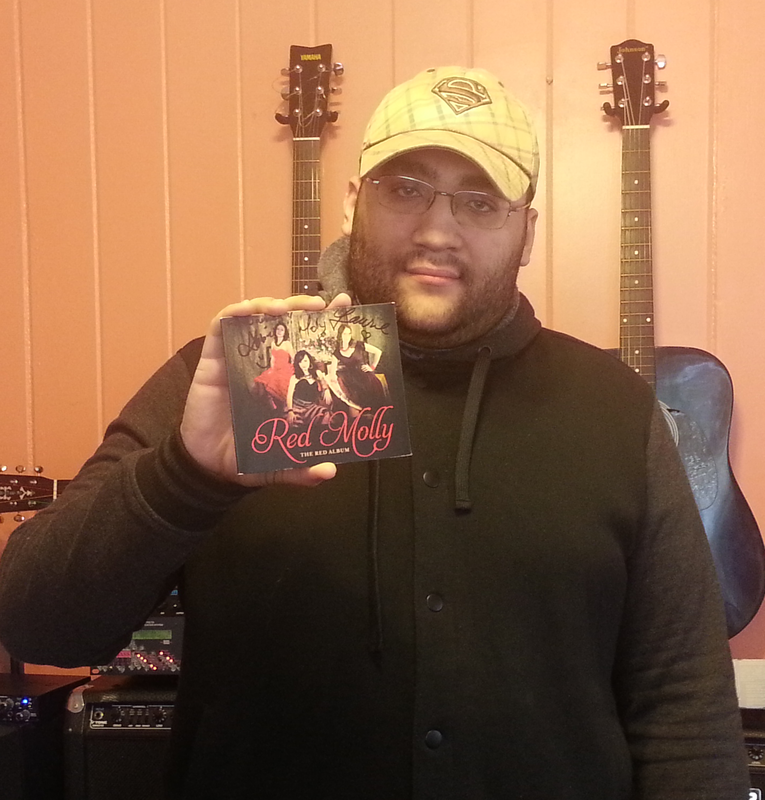 With each lady taking vocal duties on the songs, The Red Album is a fantastic effort and example of hard work, dedication, and adapting to what the song needs. Molly Venter being the latest addition to this trio is a perfect fit and proves through her guitar playing and singing that she belongs on the stage with Abbie and Laurie. Each with over a decade of experience in music, Red Molly comes together with their life lessons and stories to create 13 folk, country, bluegrass, and Americana style tracks that have garnered attention from many country music charts and radio stations since the album’s release in early 2014. Over a year later and this album is still as strong as when released to the world. You Don’t Have the Heart For It – The third track on the album and one of my favorites as it infuses 60s-70s country guitars and 50s vocals. A traditional song of someone being half way in and half way out of a relationship. This song also fits easily into a road trip music mix with how easy it is to sing along even you are listening to it for the very first time. Abbie really brings out the honky-tonk atmosphere as she is the lead lady on this one. Clinch River Blues – The first and catchiest song on the album. Laurie’s vocals come to light as the focal point of this dark, toe tapping song. From the electric guitars and percussion instruments keeping the song in time to the Abbie and Molly harmonizing in a hauntingly beautiful fashion. Possibly a song with the darkest lyrical content as well which could be applied to any type of folklore story you’ve heard. Although a short song it’s a memorable one and sets the right theme for things to come. I Am Listening – The second track and the first one Molly has been presented on, is a song of early stage romance and the doubts that come with it. Molly captures that youthful and energetic feel of love at first sight and the feeling of wanting it to last. Simply a stunning track and one that capture your mind right away. Sing To Me – Molly taking the lead writing and singing on this track featuring lovely acoustics and an echo effect that just takes you away to a beautiful scene. The life of a traveling musician is mixed bag of joyful moments but also moments of homesickness that are often hard to shake off. Molly really presents a gentle low voice on this song as Abbie and Laurie melodically place their vocals at the right moments to truly make this a thoughtful song. Definitely one of my favorite songs off this album. Copper Ponies – If I had to sum this song up to one word, it would be Beautiful. A stand out acapella song that truly brings all three of their voices in a raw setting. It’s a timeless song that will stay with you for a very long time. It’s the last track and a fantastic way to end the album. With all of these songs in mind and the many others on the album, Red Molly is a strong trio of women dedicated to music and bringing joy and that country sound back to music. Contrast Control is all about sharing ALL types of music and it was only a matter of time before a standout group such as Red Molly came into view for a feature. My final thoughts are buy this album, watch their videos, and read up all you can on these ladies they are worth your time and money to find that culture of true southern music and how the roots all those years ago are ever present in all we listen to today. Personal Favorite Tracks: Willow Tree, You Don’t Have The Heart For It, Clinch River Blues, Sing To Me, Copper Ponies, Homeward Bound. Americana, Contrast, Control, Country, Feature, Folk, Molly, Music, Red, Review, The Red Album. Bookmark.